Welcome to your Consumer Portal! In your portal, you have many tools and resources available that will make your life easier as you navigate your benefits. Here is a description of what you can find under each main tab in your portal. HOME PAGE: This is the first thing you will see when you log in to your account. From the I WANT TO section, you can quickly access your available balances or file a claim. In the MESSAGE CENTER, you will find important notifications about your account, including requests for more documentation. Hover over the numbered hotspots on the image below for more details! From this section, you can File a Claim or Manage Your Expenses. You should file a claim if you want to be reimbursed for an eligible item or service that you paid for with your personal money instead of money from your FSA. 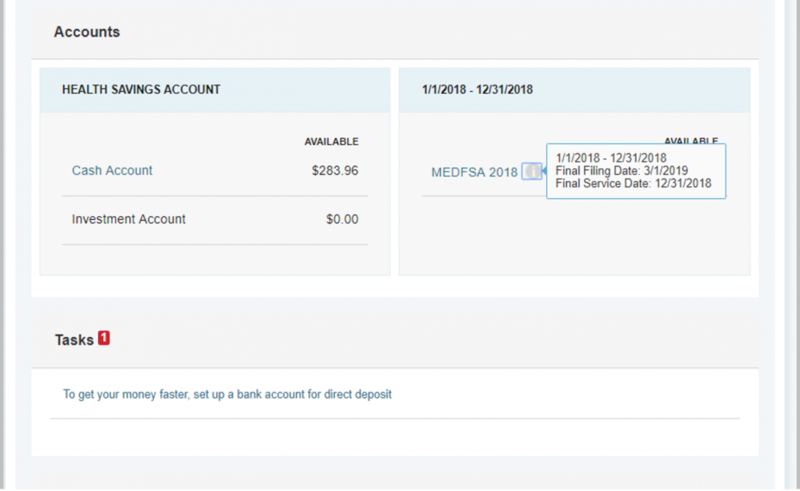 Under Manage Your Expenses, you will be able to see a complete record of where you have spent your FSA or HSA, including the status of any submitted claims. 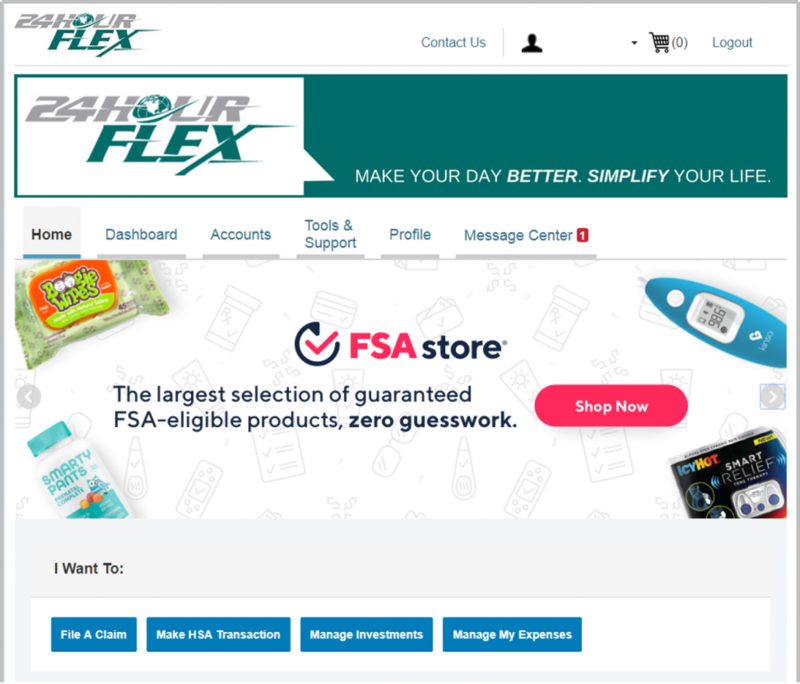 This is an important section in your Consumer Portal, because it will show any outstanding requests from 24HourFlex. For example, if you get a request from us for more documentation for a card transaction, you will see a “Receipt Needed” message in the Message Center. Check back here often! In the middle of the home page you can quickly see an overview of your accounts. IMPORTANT PLAN DATES: Hover your mouse over the small grey info circle (next to MEDFSA 2018) to see important plan dates. In this example, the final service date is the last day to incur new expenses for the selected plan. The final filing date is the last day to file claims for reimbursement on out-of-pocket expenses incurred during the plan year. At the bottom of the home page you will see a list of Recent Transactions and a Quick View of your account. 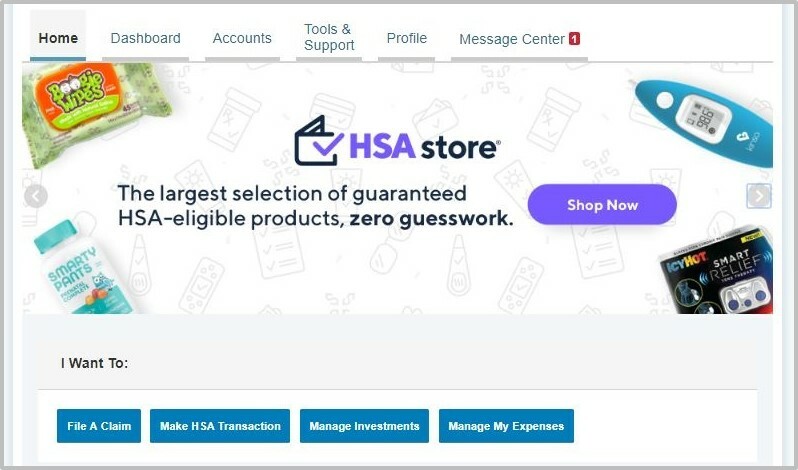 In the Quick View section, you can see a visual representation of what you have used your FSA or HSA funds to purchase during the current plan year. Click right to see additional information about your account. 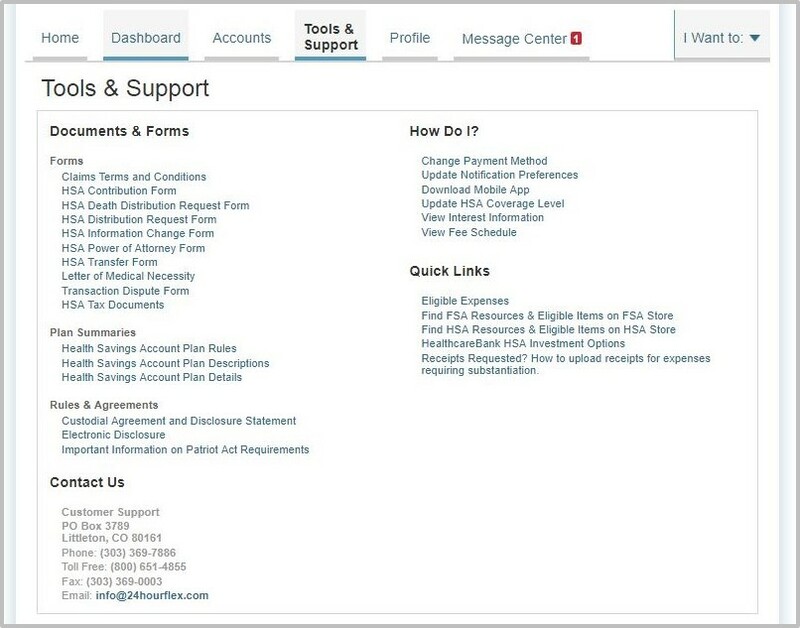 If you have an HSA, your home page will have a few additional options. 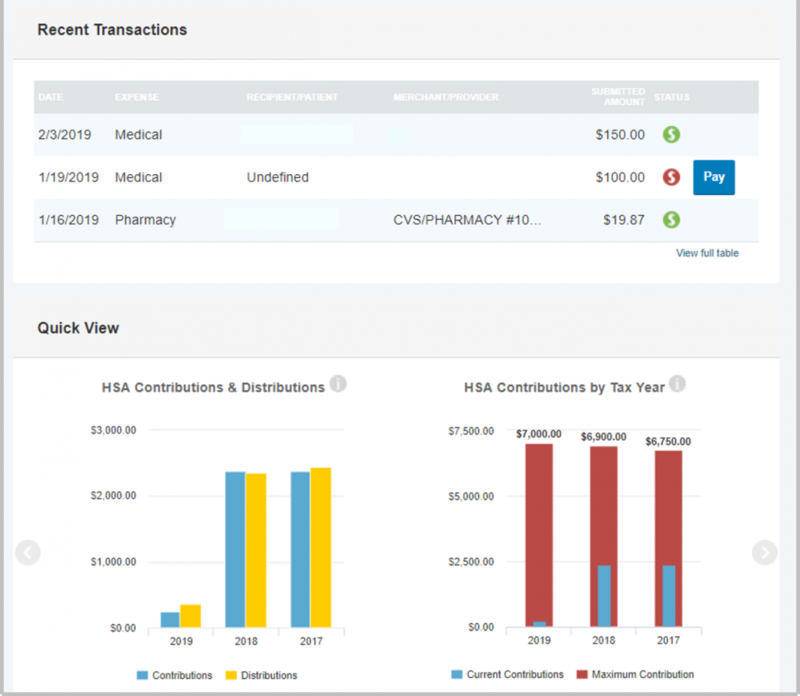 In the I WANT TO section, the “Make HSA Transaction” button allows you to issue distributions to yourself out of your HSA. There is also a “Manage Investments” button, which will take you to a separate portal in which you can track the money you invest using your HSA. Do you have more than $2,000 saved in your HSA? Anything above $2,000 can be invested! By clicking on “Manage Investments,” you can go to the investment portal, which is separate from your consumer portal, and invest HSA money to grow your balance even more. 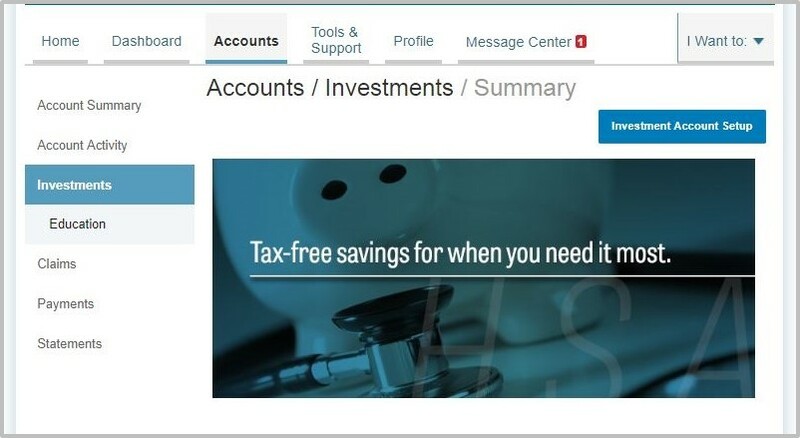 ACCOUNTS PAGE: This gives you an overview of current and recent plan years, as well as provides access to account activity, claims, and payments. 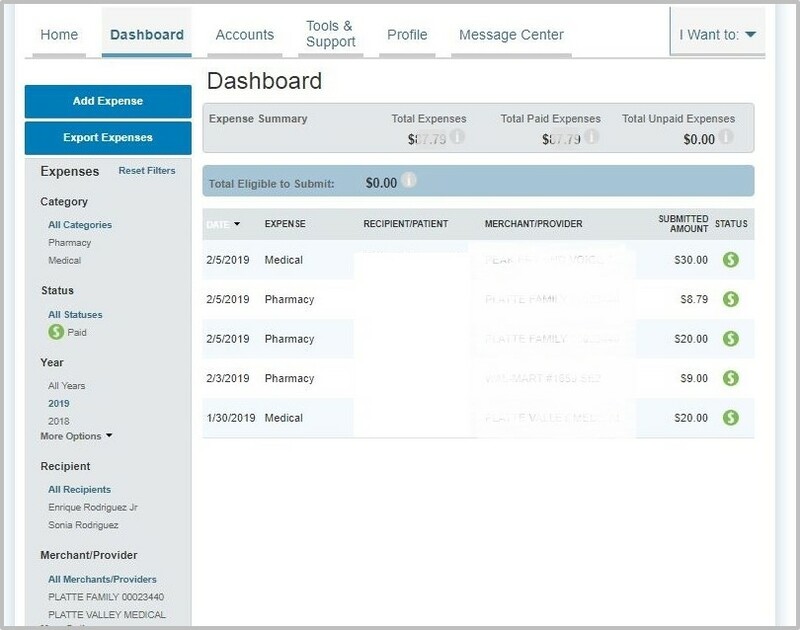 Account activity will show all account transactions including payroll deductions and contributions. If you have an HSA, the Accounts page is also where you will be able to see and manage your investment funds. PROFILE PAGE: This gives you the ability to change/update your personal information, add dependents and beneficiaries. Selecting options on the left side, you can add/edit banking information, see the status of your card, report your card as lost/stolen, order replacement cards, order cards for added dependents, and change your login information (password, username, and security questions). MESSAGE CENTER: This section allows to see any outstanding requests from 24HourFlex. For example, if we need additional documentation on a card transaction, you will receive a “Receipt Needed” message. You can also view statements, including tax documents for HSA participants and your notifications history. By clicking “Update Notification Preferences,” you can set yourself up to receive email and/or text notifications for important account messages. Notifications may include card verification requests, advice of deposits, denial letters, ineligible expense notifications, and requests for more information. TOOLS & SUPPORT PAGE: This is where you can find useful forms, plan summaries, rules and agreements, change your payment method, find information on downloading the mobile app, access the FSA Store and see our contact information. DASHBOARD PAGE: The Dashboard is the best place to see all of your expense activity. The Dashboard defaults to the current calendar year. On the left side of the page you can select all dates or specific years. Other filters are available on the left as well if you need to manage the data being displayed. Selecting an expense listed on the Dashboard will reveal more details including the claim number, date of service, account, requested-on date, expense category, amount paid/reimbursement status, the source of the expense (online or mobile claim / Debit Card) and the receipt status. This drop down section will also provide an Upload Receipt(s) and a View Receipt(s) option if applicable. If you have any questions on how to use your portal or perform specific functions, visit our Training Videos page! If you can’t find the answer there, please feel free to contact us.